I picked up that volume (along with the Dungeons and Dragons Classics) while on vacation this summer and they're fantastic. 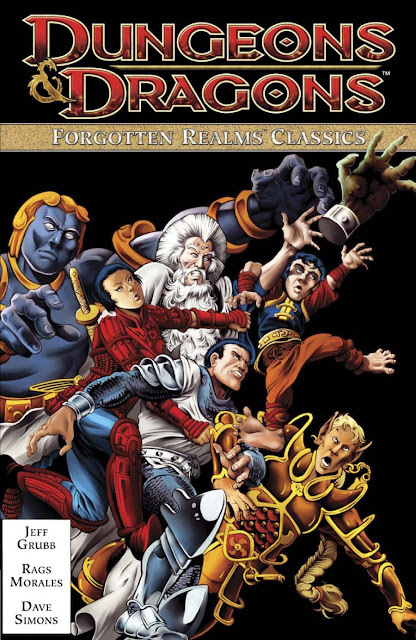 My only complaint is that the FR comics didn't include AD&D 1E stats for the issue's characters, monsters and magic items like the D&D series did. I've been looking for the other volumes in stores since. Guess I'll have to go online. Have the original print series for FR and AD&D. Loved reading these back in the day - Jeff Grubb told some great stories although the Tarrasque story was a bit meh due to the attempts to tell some of the tale without any dialogue. I pulled out the original issues of the AD&D comic from my collection just last week to show two of my grandsons. I'll have to track down my FR issues as well!